You Can Sell Your House Fast…To Us. Because We Buy Houses Without Charging Fees Or Commissions. You Won’t Have To Pay For Closing Costs Either. 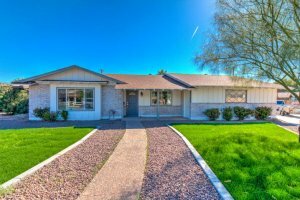 Want To Sell My House Fast In Ahwatukee, Phoenix, AZ? So we’ve taken out the headaches. We’ve removed having to deal with real estate agents, bankers, and contractors. You won’t need them when you sell your house to us. Check out how we buy homes. Maybe we can help by giving you a fair written offer to buy your Ahwatukee, Phoenix property. Our crews can do all the cleaning and repairs and painting that it may need. You get cash at closing and will no longer be tied down with that property. Want to stop the hassle of owning that house any longer? Want to skip waiting months to sell a property the traditional way? Want to avoid paying fees and commissions? Just let us know about the property you’d like to be rid of and sell your house fast for cash. You can talk to us directly before submitting your property information by calling us today at 480-800-CASH.